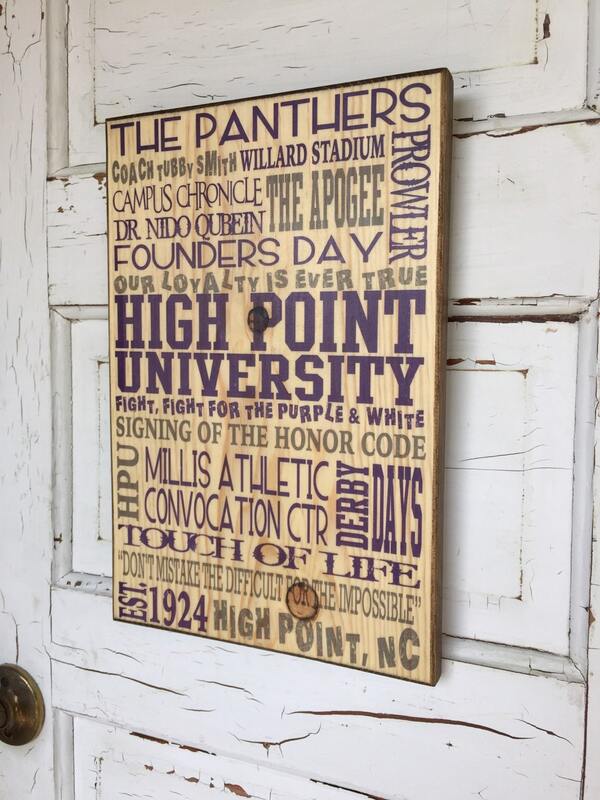 This High Point University typography art is the perfect gift for the Panthers graduate in your life (or maybe just YOU!). 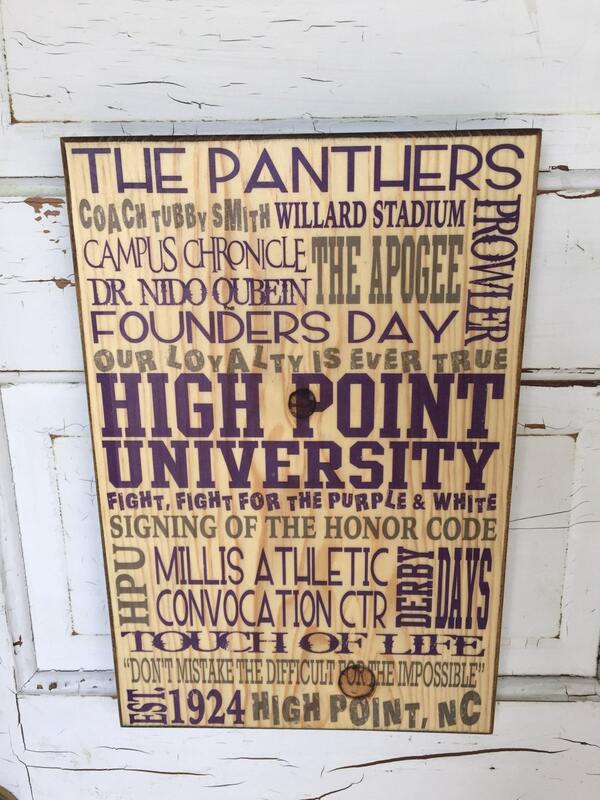 This is a made by hand typography/subway art sign on pine wood, this is not mass produced, so each one is slightly different. Hanging hook attached on the back, so it's ready to hang when received. Thanks for looking! ♥ WANT CUSTOM? 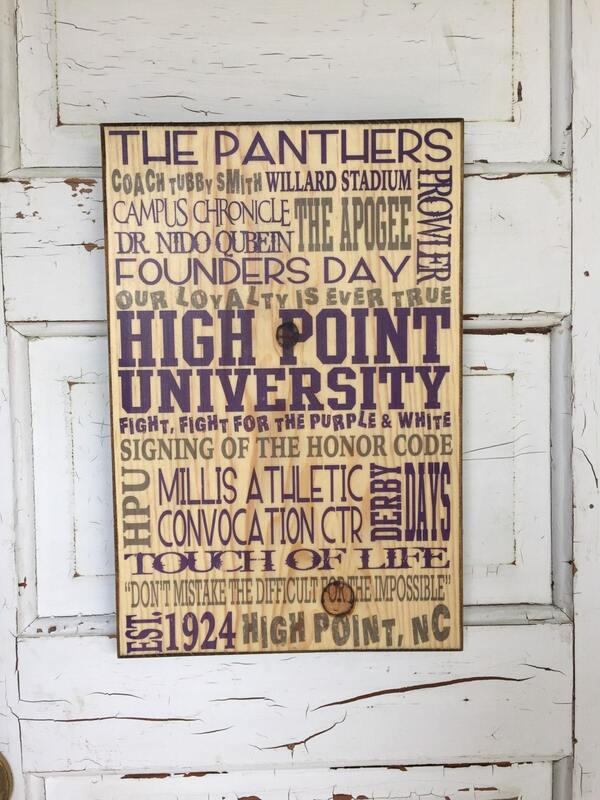 This piece CAN BE CUSTOMIZED with your favorite college - if I do not already have your team or college listed then it will be considered a custom piece. Please message me if interested in this option. CUSTOM MAY TAKE LONGER TO RECEIVE, PLEASE message me to see how long it will take to receive your item, as well as the minimal upgraded cost due to the extra time involved in tweaking this item. 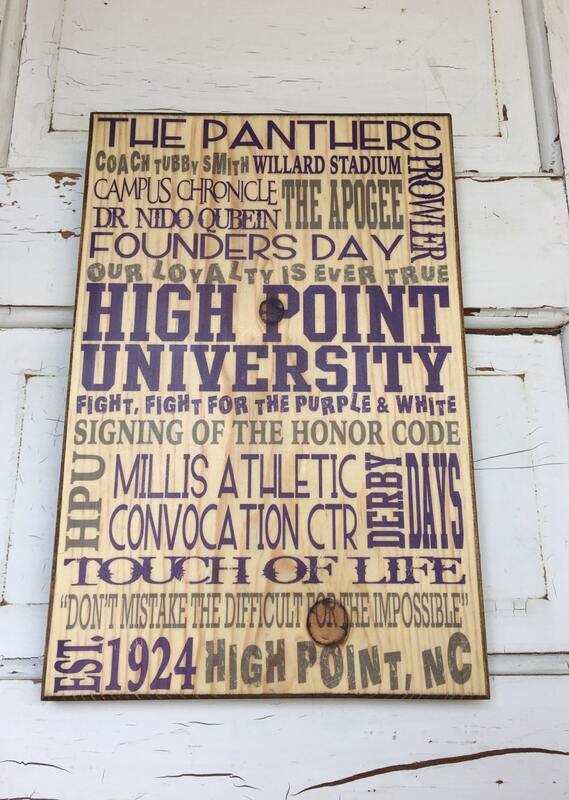 You will receive a proof for your approval prior to the typography art being completely finished. ♥ Like what you see?! 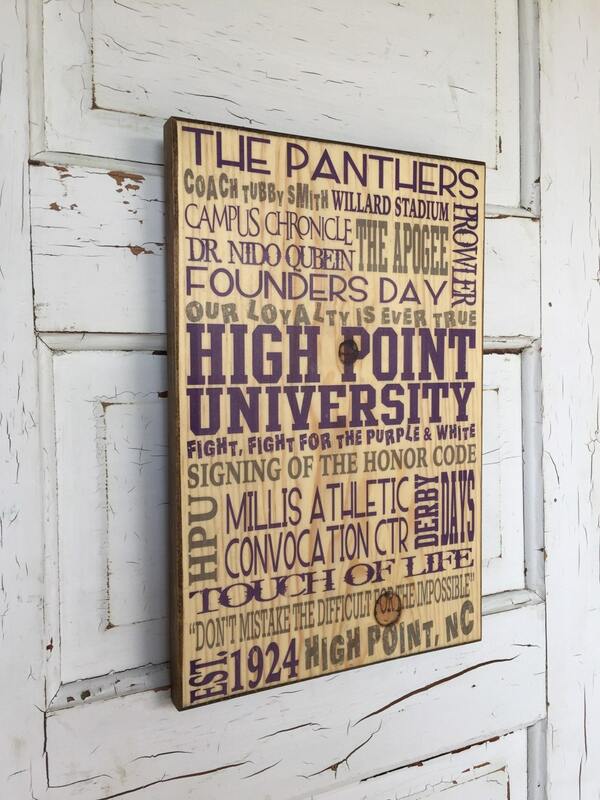 Favorite my shop and stay up to date on my latest pieces.